Spend your December holidays by flying Jet Charter to Miami. Enjoy the lavish art exhibits at Art Basel, the week of December 3rd through the 6th. The world’s premier modern and contemporary art fair is based out of the Miami Beach Convention Center, where you can check out over 250 world-renowned art galleries from artists around the globe. While this is undoubtedly the main event, the festival has spawned more than 20 satellite fairs, stretching from Midtown to Downtown. Where there’s art, a fashionable crowd is sure to follow – designers and magazine editors host events and parties in an array of venues, from luxury retailers in the Design District to the rooftops of chic South Beach boutiques. Speaking of parties, Art Basel is a whirlwind of non-stop revelry for those who can get past the velvet rope. Nightclubs host celebrity-splashed soirees and “pop-up” clubs spawn throughout the city from South Beach to Wynwood, offering endless options for lovers of nightlife. Holiday shopping is kicking into high gear at The Webster – set in the heart of South Beach, this art-deco hotel was converted into a luxurious high-end fashion boutique where you’ll find your favorite high-end designer fashions. You can soak up the sun while finding apparel and accessories at Lincoln Road Mall, an international outdoor mall between 16th Street and 17th Street in Miami Beach with shops like Steve Madden shoes and Osklen Rio de Jainero. Head a little north and check out Bal Harbor Shops, the country’s most productive luxury mall where you can find Saks 5th Avenue and Neimen Marcus. If you’re looking for somewhere to show off your new look, head out to some of the most exclusive Miami nightclubs and party hot-spots such as LIV, Story and Nikki Beach. Miami Private jet travelers planning to stay through the holidays shouldn’t pass on the chance to stay at one of these iconic Miami hotels; re-live the days of Jackie Gleason and The Rat Pack in Miami and stay at The Cadillac Hotel, with accessibility to Miami Beach’s alluring night life; built in 1941, the Carlyle lent its name to epic movies such as Scar Face and The Birdcage; a modern-classic hotel located on Millionaire’s Row, the Eden Rock is an ocean-front property that thrives on providing signature treatment, especially at the Elle Spa, created by Elle Magazine. There will be no shortage of options for ringing in the New Year on South Beach, but for a unique holiday experience we can also arrange a private luxury yacht charter in Miami or the Intracoastal so you and guests can enjoy Miami’s firework display on Biscayne Bay. 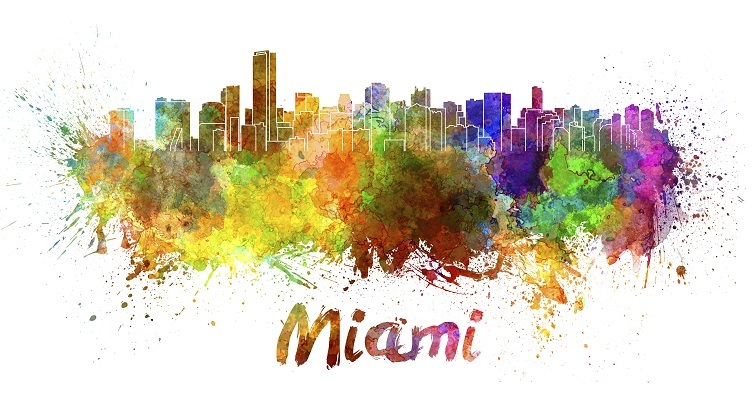 Contact us now for help arranging your Miami Jet Charter service to or from (KMIA) Miami International Airport, (KOPF) Opa Locka Executive Airport, or the (KFLL) Fort Lauderdale International Airport.